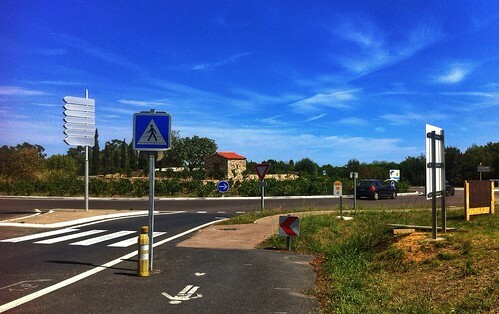 In this region of France, Languedoc-Rousillon they have surely hundreds of roundabouts. Most of them designed in an artistic and/or creative way. It's BTW time to go North again, starting the long drive home, first leg planned tomorrow.